Finding your perfect foundation can be ridiculously hard, you have so many brands with there foundations claiming to be 24 hour, 25 hour, long lasting etc. 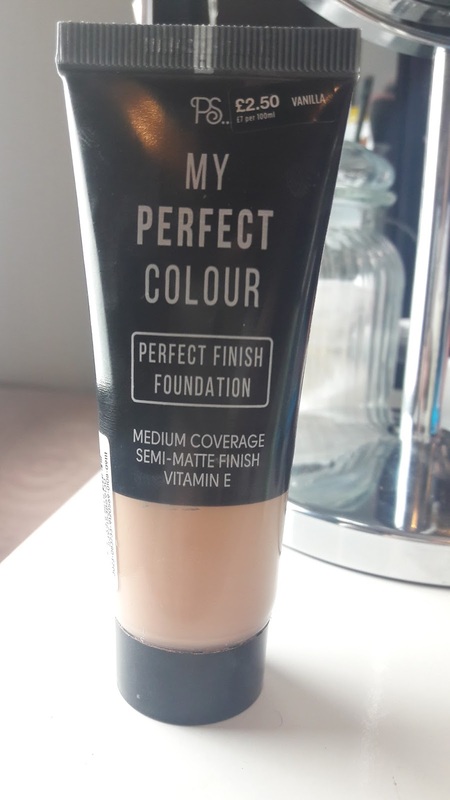 So Primark has sort of gone one step further by actually calling their new foundation ''My Perfect Colour''. I had seen videos on youtube with girls like Grace F Victory reviewing the foundation just so I could see the coverage. For me I find it hard to find a shade I am happy with, some people will say my foundation is too pale, but then others I see as too dark. I had been using Maybelline Super Stay 24 hour foundation which is a very full coverage foundation but I felt like it had been washing me out so after watching so many reviews, I decided the £2.50 price tag of Primark's foundation was too good to pass up. I have tried so many of the cheaper foundation, from Poundland to Collection and I find that they do not have a very good consistency in the formula. I have also tried BB creams and I could not get on with them, so to be honest I did not have high hopes for this. I went into my local Primark to pick it up and I noticed they had a good colour range. I went for the colour ''Vanilla'' and I also picked up the mattifying powder which was £2.00. I got home and tried it almost immediately. I used my normal primer and colour correctors on my skin. 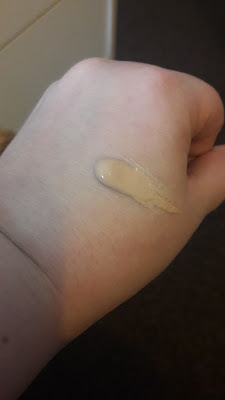 The consistence of the foundation is very watery and I would suggest shaking the bottle before using.I applied it using a damp beauty blender and I found that after applying to my full face it left it feeling very oily, it does take a few minutes for it to settle down and be a bit more matte, but I have to apply the powder to my face as well to get it to the matte that I like it but that is personal taste. The coverage is said to be medium, but since I use colour correctors on my skin I do find it does cover a lot more then some foundations, but it is defiantly not full coverage, I would say somewhere in between mid and full. 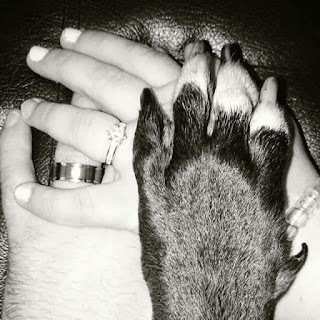 Lasting??? That is the big question, as a glasses wearer I find foundations tend to move under my glasses on my nose so I do find that is the first place that the coverage is gone, I also find the end of my nose tends to come through after a couple of hours. I don't think this is due to my application as I apply it the exact same way as I do the rest of my face so I am not sure why this happens. Overall I would say for £2.50 this is a pretty decent foundation, I have already repurchased it, but this time I bought 2 bottles, just to last a little longer, and I also am going to try the concealer stick. I normally don't get on with stick concealers but I hear this is meant to be quite creamy so I will give it a go.